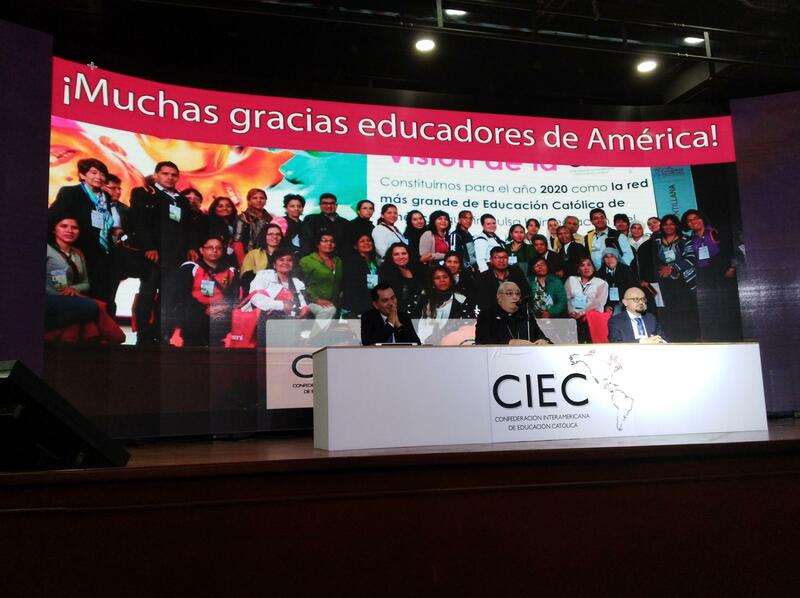 The 25th congress of the CIEC took place in Bogota, Colombia on 10 to 13 January. More than 1200 participants from all countries in Latin America have enjoyed three nice days amongst friends working on the subject “Gestión para el aprendizaje, la innovación y la creatividad” (Management for the learning, the innovation and the creativity). This congress has been followed from the beginning until the end by His Eminence the Cardinal José Luis Lacunza Maestrojuán, bishop of David (Panama). Many speakers took turns on the podium to present the most innovative technologies in the area of education. One should remember from these presentations that education is underlying recently a real change of paradigms and that many innovations both regarding the tools and the methods of teaching allow to accompany – or contribute to create? – this change of paradigms. On the 14 January, 18 members of the CIEC met in Bogota (Colombia) for their annual General Assembly. In this occasion, in particular the topic of the statutory relations between CIEC and OIEC was raised. The major part of the reunion was dedicated to the presentation of sponsors of the CIEC, among them Google education, Microsoft, SM, Santillana, etc.